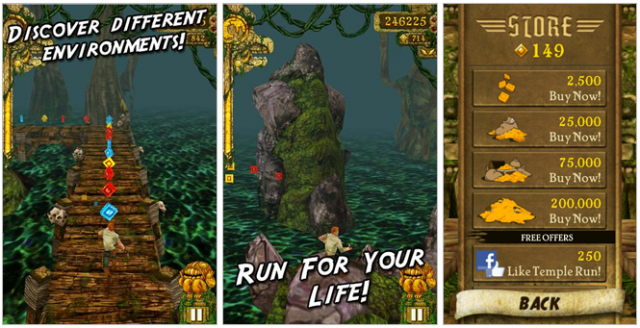 Over 45 million people have downloaded Temple Run on iOS devices – the addictive game where you run/jump/slide for your life, collect coins and avoid crazy monkeys. The game is finally available for Android and can be downloaded from the Google Play Store. It’s currently free and it doesn’t seem to be laced with ads, but you can purchase additional coins for $0.99 (or more). The download size of the game is 25.75MB and you’ll need to have OS 2.1 or higher.